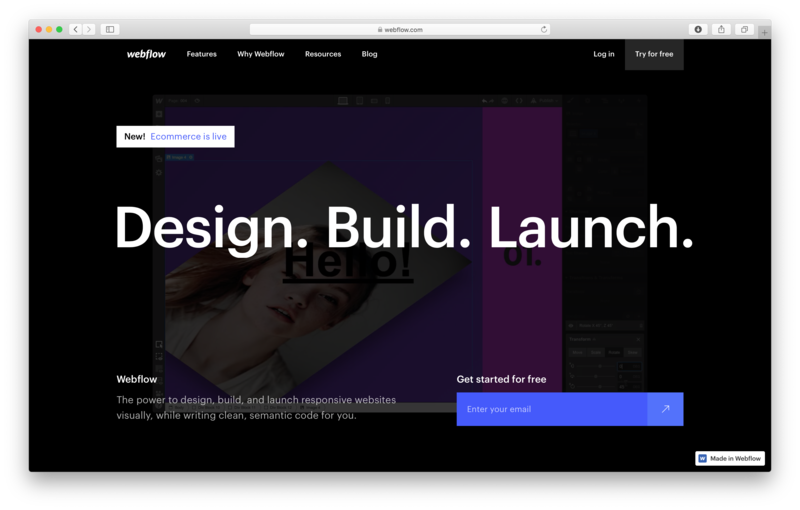 Webflow is a powerful website builder for making beautiful, responsive websites without needing to write code. Many Webflow customers want web analytics to understand the traffic coming to their Webflow website, and to understand how their online marketing is performing. 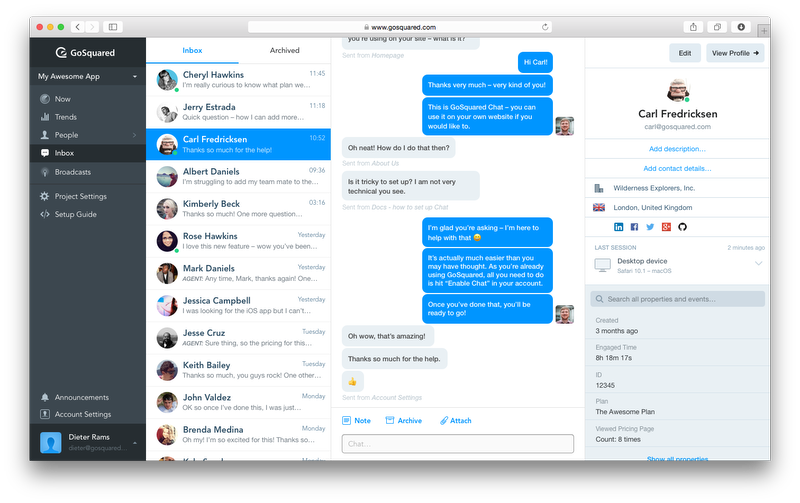 Some Webflow customers also want to use live chat on their websites to talk to their visitors – so they can provide great customer service, and also help convince more visitors to become customers. Note: Currently, you will need a premium Webflow account to install GoSquared on your Webflow site. Check out this helpful doc from Webflow on how to embed custom code on your site. Sign in to your GoSquared account. Sign in to your Webflow account. Test it out. 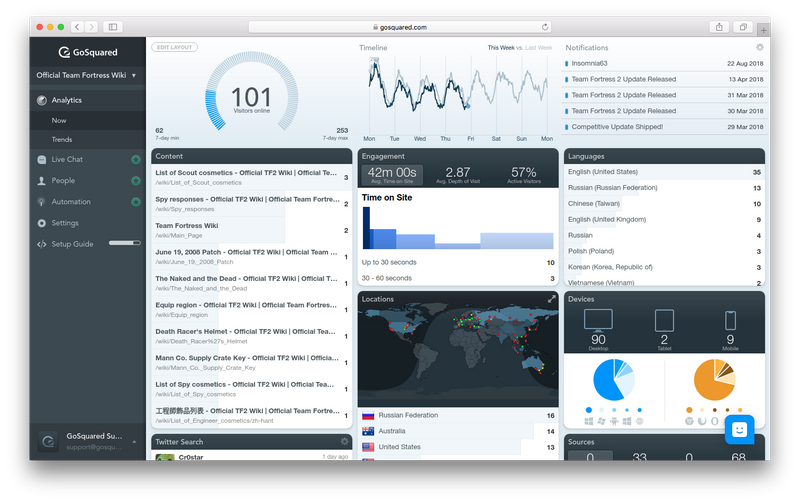 Head to your website (ideally in a private browsing window) to load it up, and then head to GoSquared Analytics to check you're all set up. Unlike other analytics tools, GoSquared Analytics updates in real-time, so you should see data instantly – if you don't then check through these steps again and ensure all your changes are saved. If you continue to experience any issues with setting up GoSquared Analytics on your Webflow site, just get in touch with us on Live Chat and we'll help you out. Head to Settings > Current Project > Assistant to find your Assistant settings. Under the heading "Turn on Assistant", flick the switch to "On" to instantly enable live chat on your Webflow site. You can customise GoSquared Assistant to match your Webflow website's look and feel in "Assistant appearance" within Assistant Settings. If I have multiple website in Webflow, can I use GoSquared on all of them? Yes! You can add each of your Webflow websites to GoSquared as a separate project so each website has its own dashboards dedicated to it. You can even add specific team members to each of your projects in GoSquared and ensure different people (e.g. clients) have access to only the projects you want to give them. Can I use GoSquared Analytics without Live Chat?